What is the naming convention for sheep? I have 4 Gulf Coasts, 2 each from 2 different farms. They retain their original farm names, right? And then when we have lambs they have my farm name? It looks like that is how you are doing it. Am I right? For Jacob Sheep (and it’s probably the same for other registries), you use the flock name of the owner of the dam at the time of breeding. If I buy a bred ewe, her lamb will carry the flock prefix of her previous owner. 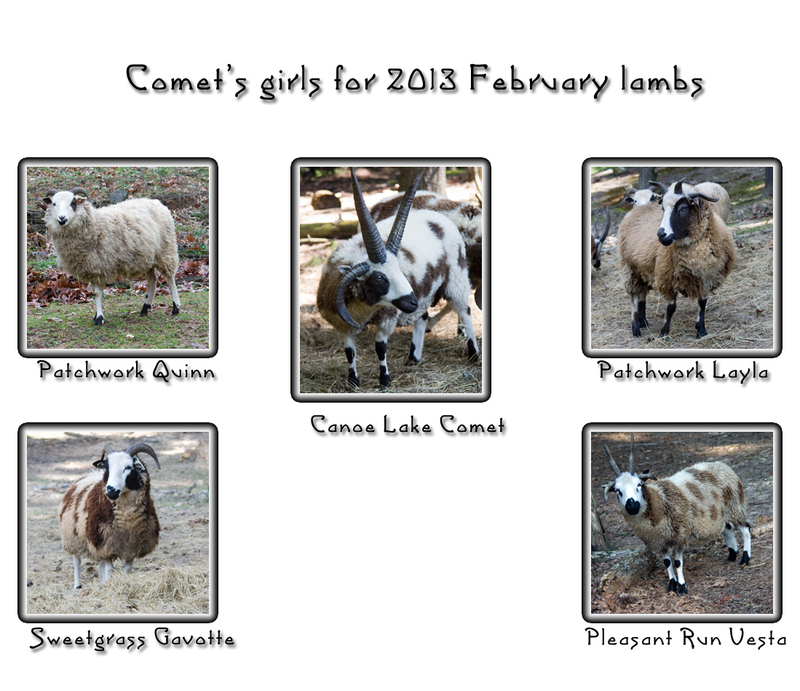 Once she’s bred here at Patchwork, her lambs will carry the Patchwork flock name. The flock prefixes are not changed when sheep are transferred. I think that’s what you were asking?